Wooster Elementary School in the Greenbrier School District is a shining example of sustainability. 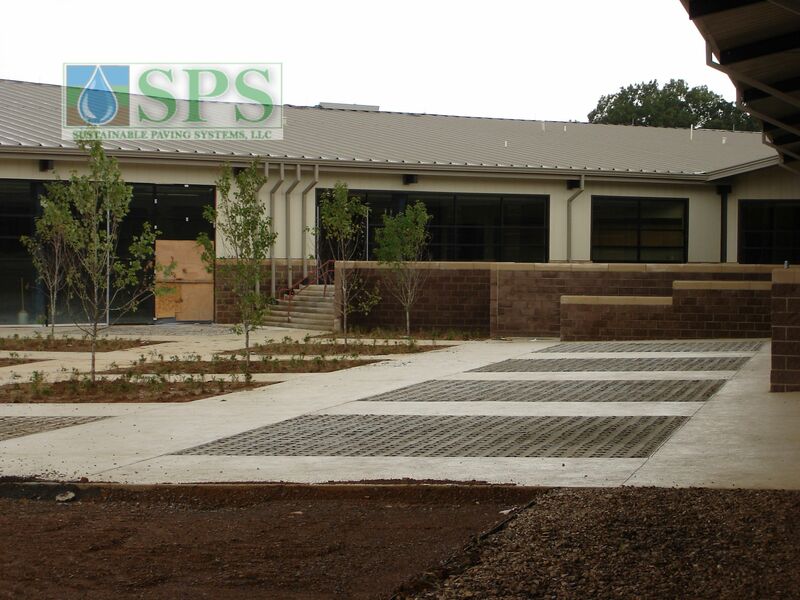 It is the recycling center for the community and a learning environment for its students and parents on green building. 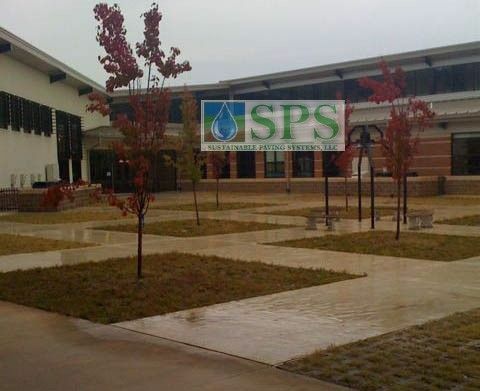 As the first school in Arkansas to achieve a LEED® for Schools Silver certification, Wooster educates while enjoying lower operating costs through energy efficiency. Seeking LEED certification, Jackson Brown King Architects designed learning spaces with cutting-edge technology to lower energy costs. 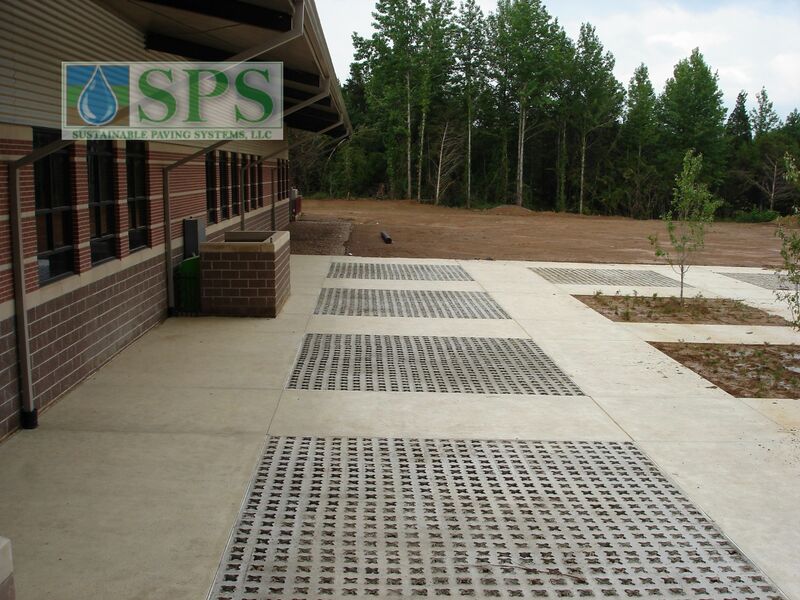 A combination of imprinted concrete and Grasscrete was chosen for the exterior walkways and play area. The Grasscrete is used to soften the space with grass and still allow for heavy foot traffic. 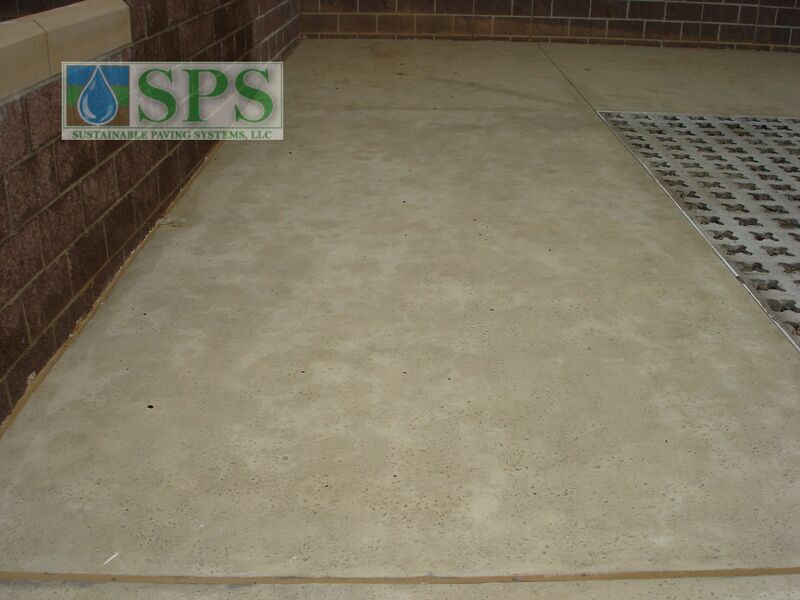 Bomanite Licensee, Bomanite of Tulsa installed several thousand feet of Imprinted concrete with the Bomacron Coquina Texture, alternating with blocks of Grasscrete. The voids were filled with grass plugs. 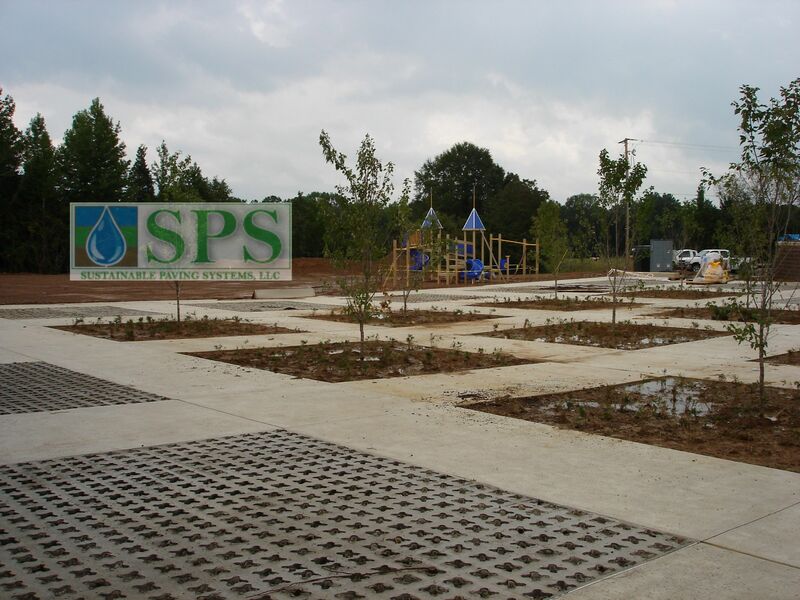 Grasscrete attributes to LEED credits through reduction of Heat Islands, Water Effecient Landscaping and Stormwater Management. 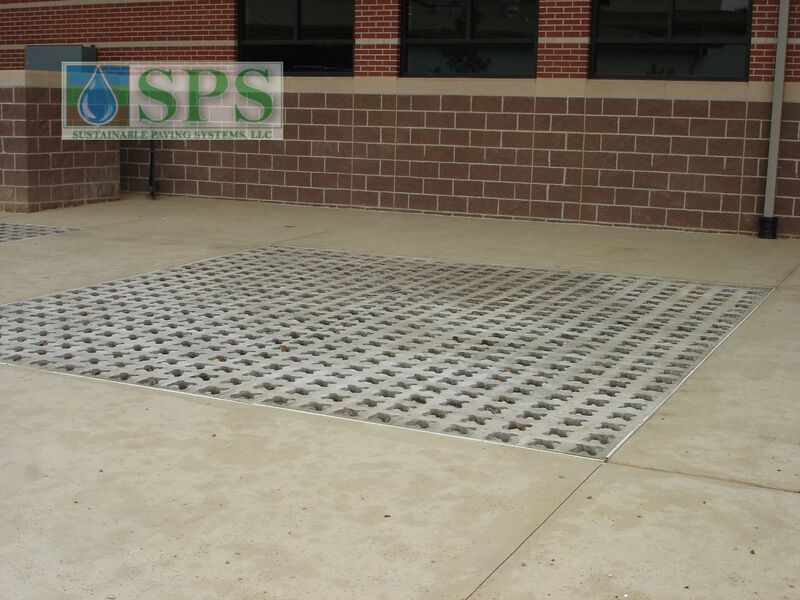 The Bomanite Imprinted Concrete uses Coquina Color Hardener that has an Albedo or Solar Reflectance of 0.5 – 0.6, falling within the LEED rated projects requiring an Albedo of >0.3 of surfaces requiring adequate Solar Reflectance. Wooster Elementary School, completed in September 2008, demonstrates Greenbrier’s commitment to provide an environment for its students to become life-long learners with an emphasis on green living.